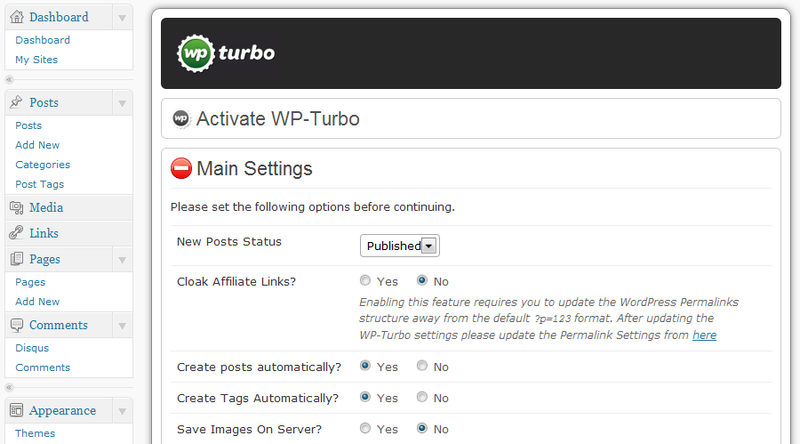 April 19th in Wordpress Plugins by Wordpress Jedi . Hootsuite: want to post your latest WordPress posts to LinkedIn, Facebook, or Twitter? You can’t go wrong with this social media web application. 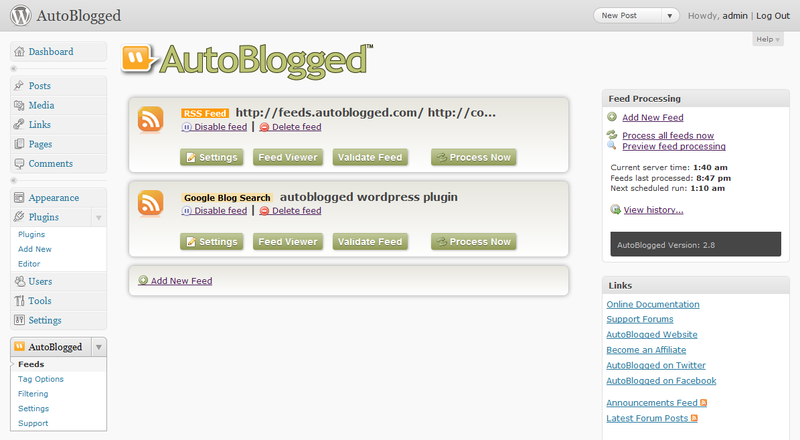 Autoblogged: want to turn RSS feeds into blog posts? It is highly customizable and supports post filtering and regular expressions. Just make sure you own the content you feed to this plugin. WP Robot: designed for those of you into auto-blogging. It can add content from Amazon, eBay, and other sites to your website. You should still create your own unique content even if you decide to use this plugin to get results. BackWPup: a powerful plugin that can backup your WordPress database and files to the cloud. It can also perform maintenance on your database. Postalicious: a handy script that sends your bookmarks on Delicious, Reddit, and other bookmarking sites to your WP posts. WP Turbo: can be used to create niche content sites using content from sites such as Amazon, eBay, Clickbank, and much more. Pretty useful for parked domains too. 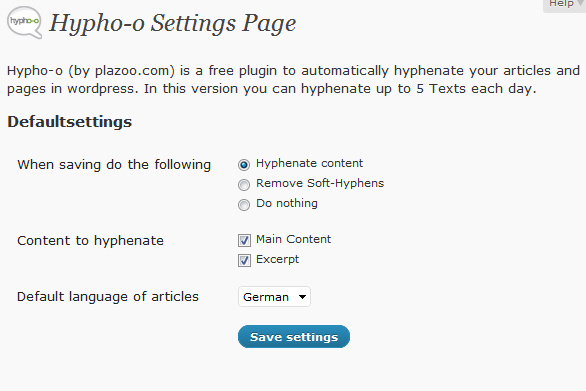 Hypho-o automatic hyphenation: a simple to use plugin that automatically hyphenates your articles, pages and comments. Pretty useful for writers and professional journalists. WPeMatico: a plugin for those who want to create a blog from multiple RSS posts. You want to make sure you have the rights to the RSS feeds that you use. This plugin is versatile and has plenty of settings. 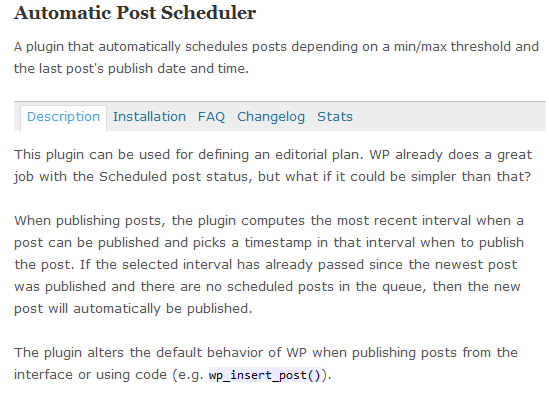 Automatic Post Scheduler: a very helpful tool for busy editors. 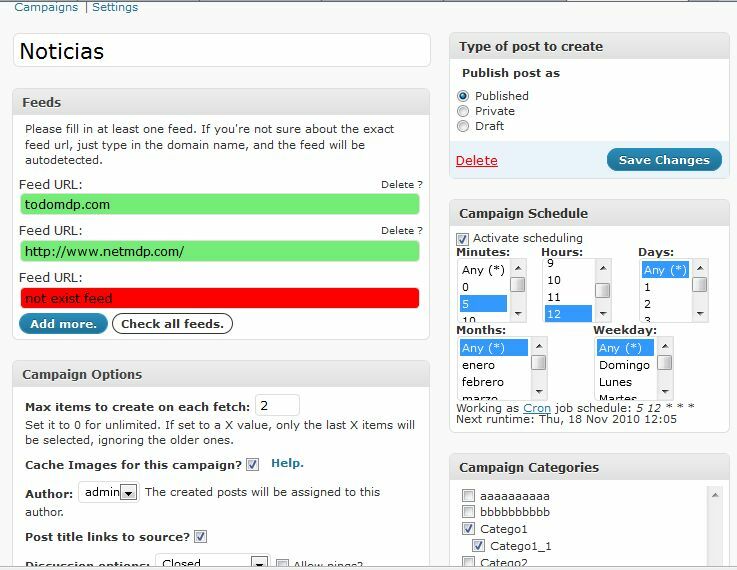 It will automatically pull the trigger on your scheduled blog posts according to your editorial plan. Automatic Youtube Video Posts: want to automatically add your YouTube videos to your WordPress website? This plugin does just that and can save you a lot of time in the process. Please note that I do not advocate auto-blogging and other black and gray hat SEO tactics by any means. So use the above tools wisely. I’m really fortunate that I was born this generation where automation existed. It helps me a lot in speeding up my website marketing. It also allows me to other task that I want to. And I’m grateful that I was able to read this article.